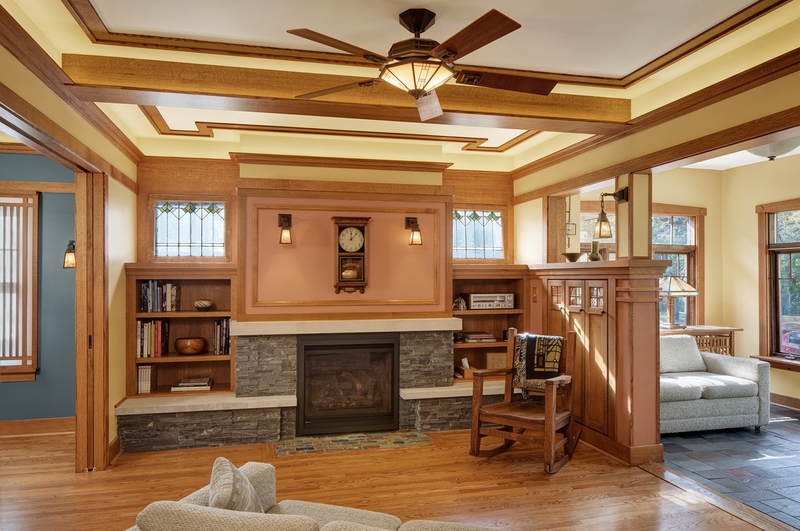 Built-in seats at the fireplace and adjacent to the entry foyer provide overflow seating for guests while entertaining as well as disguising heating registers. 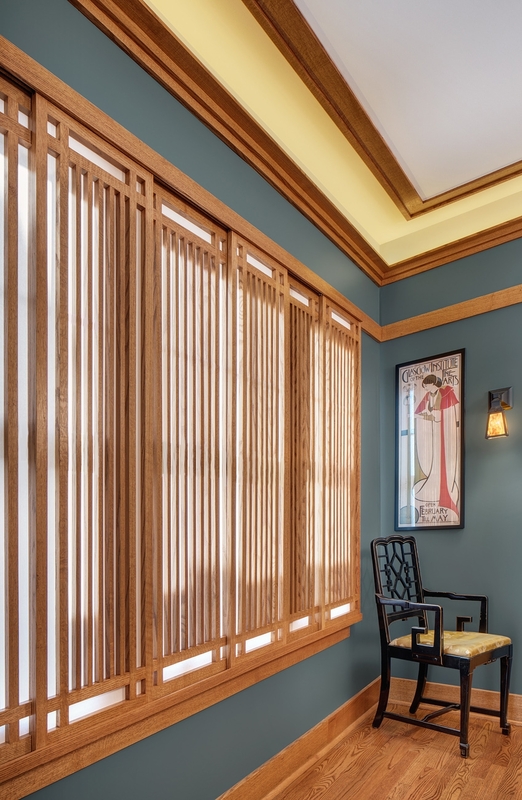 Privacy from close neighbors was as important as bright spaces so an operable screen panel was designed for the window to compliment the style allowing light to infiltrate the dining room while providing seclusion. Reconfiguring the cramped bathroom presented a challenge. Part of an underutilized adjacent closet was incorporated in order to allow for much needed elbow room and storage space. 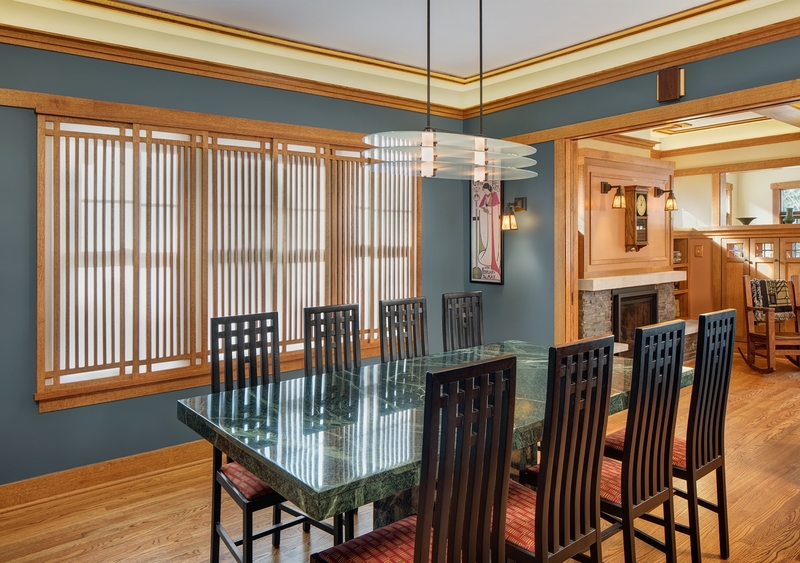 Materials and trim styles used in the rest of the renovation were carried into this space for a cohesive style and a custom designed built-in vanity reflects the traditional details from the original era of this historic home.